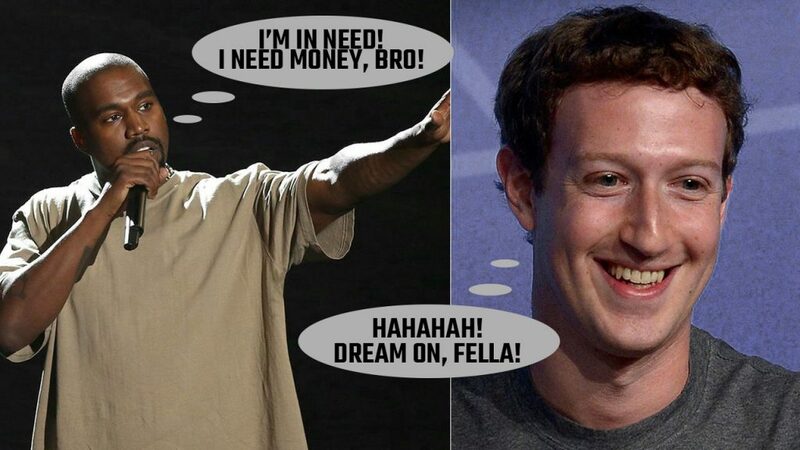 Kanye West asks Mark Zuckerberg to Bail Him Out? I respect Kanye West. I really do. I see you laughing at me, mr/ms reader! But, seriously, I do respect the producer/artist, Kanyeezy. I think he’s talented, and waaay out of the box. But, see? He’s got a problem. He’s one of those “special cases”. The ones who are sooo out of the box, that everything he does has to be weird. He’s like one of your Chachas who always ends up asking the most awkward questions at a family dinner. You’ve got one of those, right? Kanye is just like that awkward uncle of yours. He never knows what to say, and most definitely has no idea when to stop! Kanye did the same exact BS last night while going off on yet another Twitter rant. Why doesn’t Kim K just impose a device-wide ban on Twitter for her loud mouthed hubby!? Kanye, what the Zuck are you yappin’ about!? And Taylor Swift was not gonna have it. After being summoned to stage for her Grammy speech, Taylor Swift respectfully dissed the sh*t out of Kanye… And Kanye probably didn’t even know it was targeted at him! Taylor Swift vs. Kanye WestTaylor used her acceptance speech at the Grammys to throw some major shade at Kanye West. Damn, Kanye. What’s going on with you!? I can’t tell if he’s just a dumb dude. Or the smartest dumb dude around. He just made ALL the entertainment blogs, and magazines write a free article about him; for the most lamest reasons in the world. Even I wrote about him! If that’s not the work of a marketing genius, I don’t know what is.